One thing I need to remember about the sponge that I’m using (and most people too) to clean dishes at the kitchen is that this thing need to be cleaned and dried so the mildew or mold won’t grow on it. 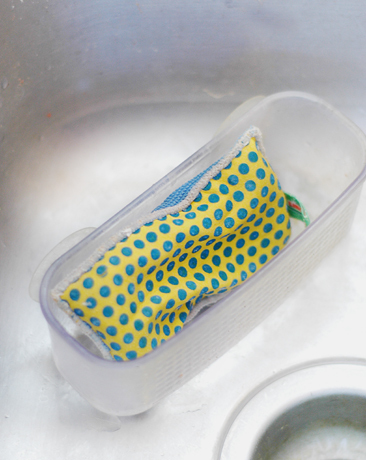 I place the sponge in the dish washer at the end of the day so that it is all cleaned and sanitized and then place it in the caddy. The caddy or the tray that you are using needs to be cleaned often or they too, will grow some mildew. I thought I got myself a nice caddy (a reliable one! ), but it just gave up on me past few days as the suctions no longer worked so it won’t stick to the sink anymore. 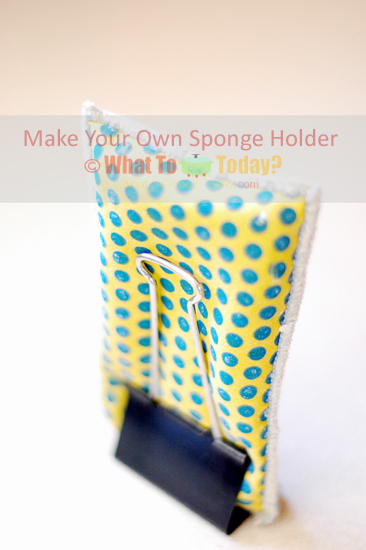 HOW IT WORKS: Place the short end of your sponge or scrub to the clip and raise the two arms of the clip so they “support” the sponge. Simple as that! Don’t you just love it when simple things like that works 🙂 Well, forget about the caddy for now. I’ve replaced way too many.